People living in these communities are some of the most resourceful and generous people we have ever met. We work together to plan projects that will improve Indian communities. These projects address healthcare and educational disparities. We focus on projects that are important to the people we serve. First, IndoRelief decides on a project. IndoRelief works with hospitals and community members to create a project that addresses the community’s needs. Next, an online profile is created. IndoRelief creates a brief description of the project and then marks the profile as ready to be sponsored. Once the profile is made public, anyone can donate to it. This could be you! You can rally your friends and family to donate through social media. All donations are tax-deductible. All money raised for a specific need (e.g. prenatal health camp, homeless shelter, surgery) is managed and distributed by IndoRelief. With our partnerships with hospitals and other organizations, we implement the project. Members of the communities are involved in every step. Donors receive status reports, receipts, and variable information on the progress of their donations. IndoRelief is a volunteer run organization. In exchange for offering this platform, seeking and creating projects, distributing contributions, IndoRelief takes 0% from the money raised. Together, we can make a difference! IndoRelief is registered as a public charity and is exempt from United States Federal income tax under Internal Revenue Code Section 501(c)(3). Donations made in the United States to IndoRelief are deductible under Section 170; we are also qualified to receive tax deductible bequests, devises, transfers or gifts under Section 2055, 2106, or 2522. Our EIN (Tax ID Number) is 47-2442871. Ankush is a 1 year old boy who suffers from spina bifida, a condition that results from vitamin D and folic acid deficiency during the mother's pregnancy. He lives in the Sector 42 slum of Faridabad with his mother, his two sisters, and his father, who is a rickshaw puller. Sahil is 3 years old and suffers from a hernia. Due to the lack of vitamins in his diet, his small intestine has descended into his groin, causing severe swelling of his scrotal sack as well as pain. Sahil's father is laborer who is currently unemployed. Hazari (left) is 70 years old and has pulmonary tuberculosis, which results in violent coughing spasms and fevers. 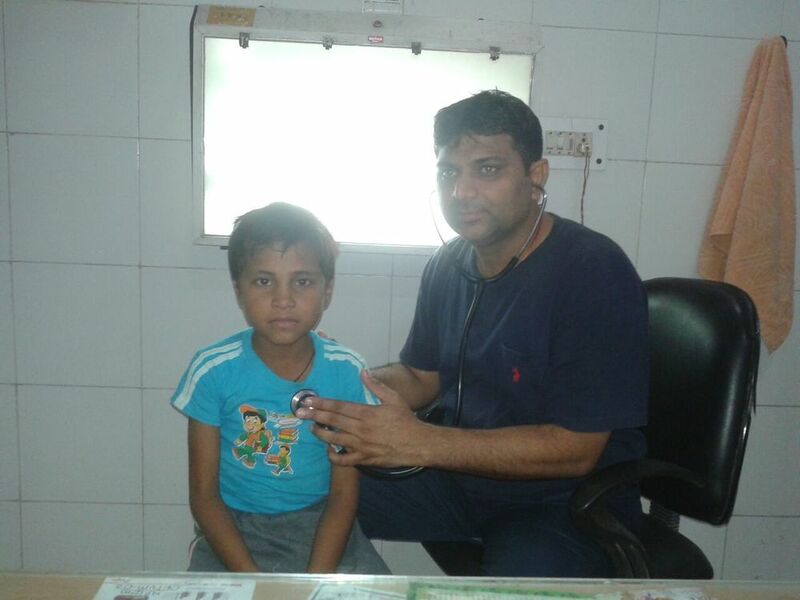 Dr. Prabhat (right) diagnosed Hazari with the help of an x-ray that was paid for by one our donors. Ravi is 6 years old and has an infection in the right lobe of his lung. His favorite sport is cricket and hopes to be a cricket player when he grows up. 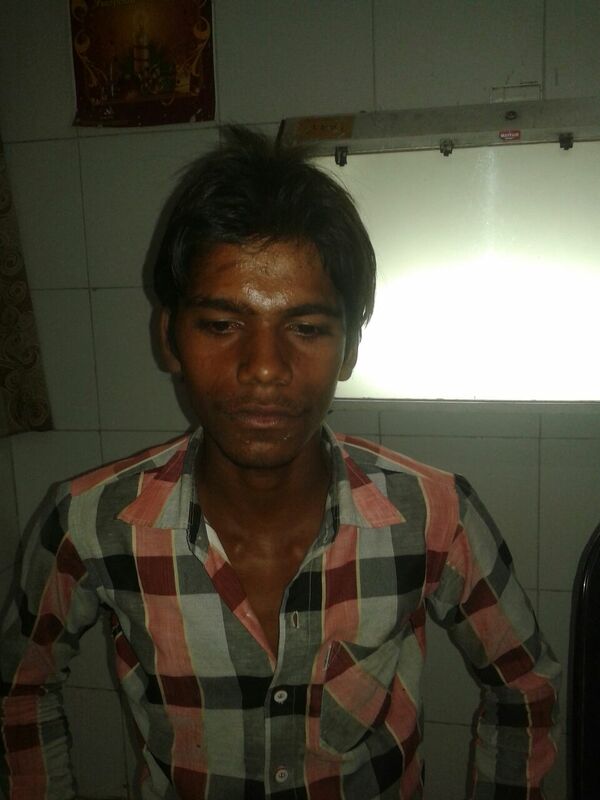 Yakub is 76 years old and suffers from pulmonary tuberculosis. X-rays reveal abnormalities in the left lobe of his lung. He has been having night fevers for the past 3 months and coughing spasms for the past 1 month. He works as a tuk-tuk (an Indian taxi) driver. Bithu is 40 years old and experiences chronic pain in his lower spine. We diagnosed him with Pott's disease. His brother passed away from Hepatitis C one year ago. Rajui has been diagnosed with Pulmonary Koch's disease. She is 40 years old and is a housewife. His oldest son is studying to become a lawyer. Avtar's x-ray showed pulmonary effusion. Along with tuberculosis, Avtar also has asthma. With the help of our donors, we provided an inhaler and medicine to help Avtar manage his asthma. Deena is 40 years old and has tuberculosis. This is his third time being diagnosed with tuberculosis. The first two times he was given medicines for his cough and fever by another hospital in the community. Because the medicines did not treat the root of the problem, tuberculosis came back. Roshni has a uterine infection. Her husband is a laborer who works in Southern India, where he can find more work. She receives the money he sends and tells us she misses him very much. Manzi has a tuberculosis. He is 60 years old. His oldest daughter recently got married. Ram is 79 years old and has a bilateral lung infection. He also has an abnormal growth on the side of his pelvis that requires a biopsy. He has been homeless for several years, living in huts on the side of the road he has made with branches and sheets. Sarif has a lymph node enlargement. In order to diagnose him properly more tests need to be performed. He works as a sweeper and is 23 years old. Madan required eye surgery to fix the cataract in his right eye. Because of our donors, we sponsored the surgery. He is recovering nicely. We sponsored the surgery to fix the cataract in his right eye, but Bedi has cataracts in both eyes. He is 70 years old and works as a laborer. Dr. Kapoor, an optometrist, sees Sanjay (left). Sanjay has an infection in his left eye. 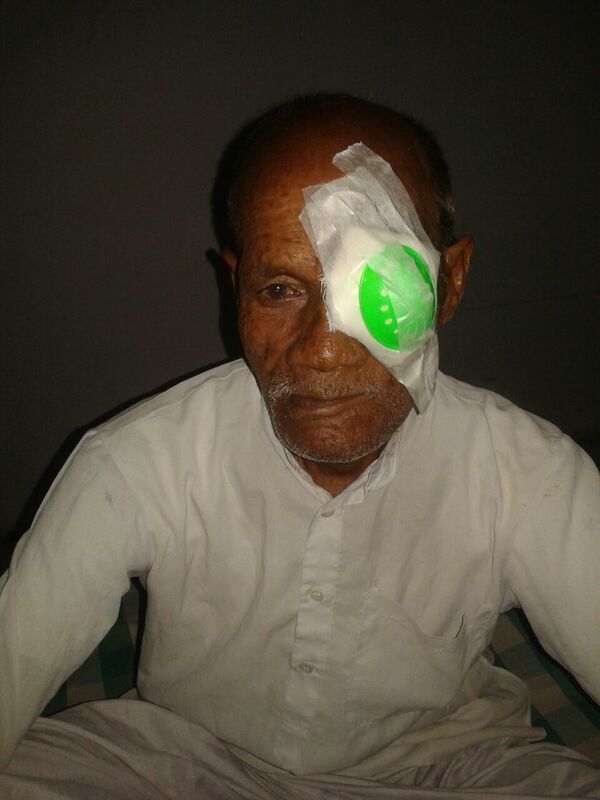 Lal is 78 years old and requires surgery for the cataract in his left eye. His youngest daughter just gave birth to a health boy in February. Sanjay is 19 years old and works as a laborer. He fell off of the house he is helping to build and injured his spine. He requires an x-ray. Janu is 51 years old and has cataracts in both eyes. He has had cataracts for over one year and has lost vision in his right eye. Meet Rajesh, a 75 year old rickshaw puller. He has cataracts in both eyes. His family has lived in the same slum for at least four generations. We're committed to total transparency. Click here to view our transparency pledge.